Can I search for Wineries by wine region or by price? Can I book more than one experience for the same day? Can I book an experience for just one person? What does Max. Capacity mean? Can I book an experience for any time? How do I know that the booking of my experience was confirmed? 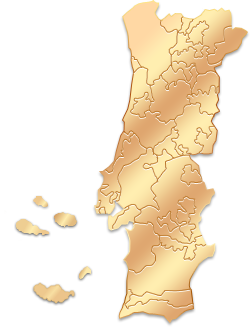 2. click on "Wineries & Vineyards" tab on the home page and then select the map of Portugal either on the left side or on the top of the page to narrow your search by selecting the desired region. Yes, at the time of booking you can choose and select several different experiences for the same day or different days. Yes, but you should read and check carefully all terms and conditions of each experience at the time of booking. To book some specific experiences it is required a minimum number of people. Means maximum Capacity, the maximum number of participants per experience/hour. No, before selecting the time of your experience you should always consult the schedules (tours, cellars| shops, etc.) available in the table "Conditions" of each partner as well as the schedules of that specific experience. The booking is only valid after the confirmation of our partner, that is, after you receive an email with your Booking Status - "Booking confirmation (on request)"
You can check all the information concerning your booking on your reserved area "Manage my Bookings". This reserved area can be accessed by the link located on top of the portal page or by the link provided in the email with the details of your booking. In case the non-confirmation is due to non-availability of dates, we will make every possible effort to provide you a comparable alternative, but the acceptance of this alternative will depend on you only. Yes, when booking select how many experiences you want. You should read and check carefully all the terms and both general and specific conditions of each service at the time of booking.